Later this month Drone Wars appeal against the MoD’s refusal to answer two FoI requests about the use of UK drones in Afghanistan reaches the Upper Tribunal, the highest level of the FoI process in the UK. The first hearing, which will take place on July 21, is to hear oral arguments on whether the appeal should be allowed to proceed. the breakdown between UK drone strikes launched under daily tasking orders (i.e. pre-planned) and those launched under dynamic targeting procedures (i.e. ‘on the fly’). The MoD have maintained throughout the process that the information sought would ‘prejudice the capability, effectiveness or security’ of UK forces or their allies (exemption 26 of the FoI Act) and in regard to the first request, that it ‘would prejudice relations between the UK and another state’ (exemption 27 of the FoI Act). Last September we attempted to overturn the decision at a two-day Information Tribunal hearing. We argued that the MoD themselves had selectively put information about UK use of drones into the public domain which contained far more operational detail than could be gleaned by the mere location by province of UK strikes. In addition we pointed out that weapons launched by British drones were only a small percentage of munitions that were being dropped onto Afghanistan so it was not clear how the enemy would be aided by information about only a limited subset of airstrikes. Nevertheless the MoD maintained that the information we sought would be of use of the enemy. The MoD’s explanation of how the information is actually capable of prejudicing UK forces was given in a closed hearing by an RAF Squadron Leader, and we and our lawyers were excluded. We continue to remain in the dark about the information given. We will argue that as we were not present and not allowed to know what specifically the Squadron Leader said, it is not possible for us to challenge his evidence. 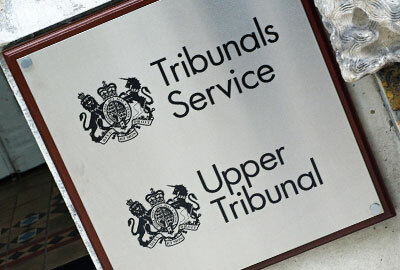 For the Tribunal to refuse our appeal on these grounds is manifestly unjust. We argued clearly at the Tribunal hearing that the information sought was not a ‘magic bullet’ which would by itself confirm or allay all concerns about the growing use of armed drones. Rather the information would give greater understanding of how drones are being used on a day-to-day basis, whether they are being primarily used to protect British troops – who are overwhelmingly within Helmand province – as the MoD claims, and whether the drones ability to loiter for long periods of time over a particular area looking for suspicious behaviour or at targets of opportunity is in fact leading to more strikes. Good luck! Keep up the great work.